How do we know that Paul knows what he’s talking about? Why can he bear witness? Is it just because he is a Jew himself? It is not only because he is a Jew, but rather that he is “a Pharisee and the son of a Pharisee,” as he describes himself in Acts 23:6. In other words, Paul is himself an expert in Jewish law, Jewish religious life and Jewish spirituality, and raised by one, too. He’s been around and knows what he’s talking about. And what is more, Paul still expresses his love for his fellow Jews, even though they have now become his enemies. So when Paul says that he knows the Jews and that they have a “zeal for God, but not according to knowledge,” we have good reason to believe him. He’s experienced their life, learned from their great teachers and even become one of their experts in Jewish life. The historical meaning we can read here is that Paul is pointing to the way the Jews of his time observed the Law of Moses. The Pharisees especially would follow it as literally and as exactly as possible, even if it meant the neglect of those around them who needed their help. We saw many times, for instance, how the Pharisees criticized Jesus for supposedly violating the Sabbath requirement not to work when He healed someone. What mattered to them was the rules, not the suffering of a human person. How could that have been fixed? The key is in the word knowledge. Man’s purpose is to know God, and knowing God is even defined by Christ Himself as what salvation actually is (John 17:6). And Jesus says that He knows the Father and the Father knows Him (John 10:15). Thus, the “knowledge” according to which proper zeal operates is a knowledge of God, of knowing God and being known by Him. It is love. It is union and communion. Thus, if the Pharisees had known God, had truly loved God, then they would have seen the purpose of the Law was not to weigh people down with heavy burdens of exactness but rather to lift them up to loving communion with the Father. And had the Jews known God, they would have received Him when He came in the flesh. Yet they crucified Him. Sadly, though, lack of this kind of knowledge of God persists. We can see the Pharisees’ ignorant zeal sometimes in church life, when people become so obsessed with the canons and other rules of the Church that they neglect the suffering of those at hand, perhaps even causing suffering by demanding that such rules be followed, rules that while important are not dogmatic or moral teachings. An example might be breaking communion with fellow Orthodox Christians because they do not follow the same liturgical calendar. Another might be demanding that people fast or do piety in a certain way and then condemning or mistreating them if they do not. Such rules and traditions are of course important and ultimately indispensable in their context, but if they aren’t being used to bring people to Jesus Christ, they are being misused. That does not mean that we can violate the dogmas or moral teachings of the Church, but it does mean that other kinds of Church traditions have to be applied with good sense and most especially love. We can speak of another kind of “zeal for God” that is “not according to knowledge.” Often, in church life, we can “major in the minors” in other ways. Some people have a zeal for many elements in church life that may in themselves be helpful or at least harmless but can also be used to distract from the “one thing needful” (Luke 10:42). For instance, someone might give money to church. Or he might participate in many educational classes and events. Or he might work in the kitchen or at coffee hour. Or he might sing in the choir or at the chanter’s stand. Or he might be teaching. Or he might go to many social events. Or he might donate piles of goods for the needy. Or pick almost anything else. He might love whatever it is and really throw himself into it. He might be the very best at it. But if he is not engaged in the spiritual life of struggle against sin, of genuine prayer both corporately and privately, of participation in the sacraments, of love for his fellow Christians and most especially love for God, then all this has become a zeal without knowledge. It is possible to be very near to God all the time and yet be very far away from Him at the same time. Again, all these things are good, but if we do not come to know God Himself better through them, then they are useless and even harmful to us. Finally, there is another kind of zeal that is not according to knowledge that we can see in our time. Some people become obsessed with all the details of Orthodox theology or praxis yet do not know Jesus Christ in His personal warmth and love. They love the religion but not the One Whom the religion points to. They love the spirituality but not the One Who sends the Holy Spirit. This kind of ignorant zeal is a temptation especially for the clergy and for the new convert, though it can afflict anyone. This zeal creates a religion that may be glorious and stunning but ultimately cold and demanding. It may be expressed as rigorism or ritualism or esotericism or false traditionalism. 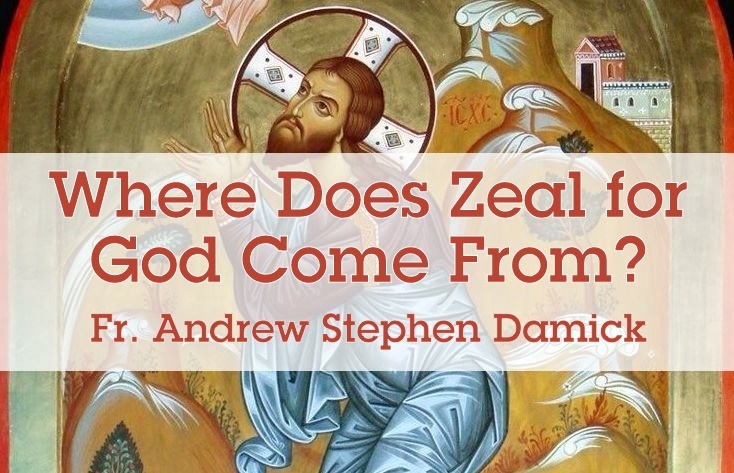 In all cases, what is true and good in the Orthodox Christian faith is turned into an identity marker for correctness rather than a salvific path toward communion with God. If we are to have a zeal for God that is indeed according to knowledge, we should focus first on that knowledge and then let the zeal come of its own accord. Does not a man who defends his beloved wife from danger have a zeal that comes from his knowledge of her? Does not a mother who watches over her children with care and energy have a zeal that comes from her knowledge of them? Do not friends who dedicate all they have to staying connected with one another have a zeal that comes from their knowledge of each other? Do you see how zeal is the result of love? It is not a substitute for love. Enthusiasm and seriousness are not the same thing as love. If we are to have a true zeal for God, then we must gain it through knowledge of Him. And how do we gain that knowledge of Him? Our faith comes by hearing the word of God (Rom. 10:17), by prayer, by active love for His children, by participation in the sacraments, by earnestly seeking to know Him in every way. When we do that, the zeal will come of its own accord. Our energy for doing God’s work will come from knowing God’s heart. To our Lord Jesus Christ therefore be all glory, honor and worship, with His Father and the Holy Spirit, now and ever, and unto ages of ages. Amen. I have relied here significantly on the commentary of the late Archbishop Dmitri (Royster) of Dallas, in his work on Romans 10 as well as Romans 8. 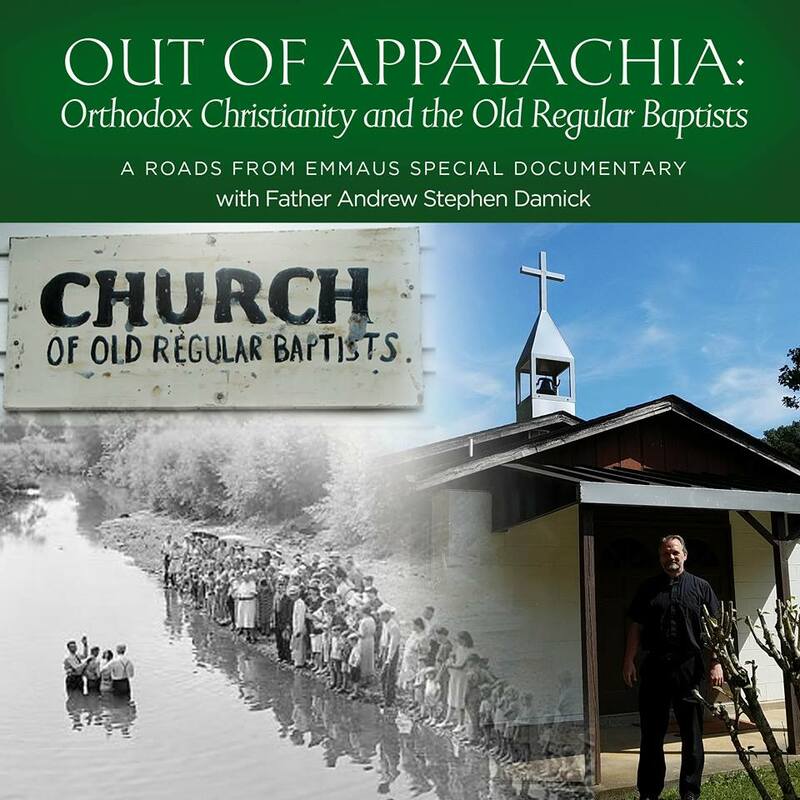 The edition of his commentary I’m using is a draft edition from 2004-05.
thank you Father Damick, I have always believed this, you describe what zeal for Orthodoxy is really about, perfectly.